Home Health Care How Does Osteoarthritis Cause Sleep Disorder? The aches and pains caused by osteoarthritis (OA) can not only restrict your movements and hamper your lifestyle, it can also cause sleep disorder. With the pain, sleeping is a stiff challenge. But what make things worse are the emotional issues the patients face when suffering from OA. A study published by Journal of Psychosomatic Research claimed that more than 37% of participants who suffered from osteoarthritis experienced insomnia. To cope with the osteoarthritis, before you can have the knee replacement surgery, it is very important to understand how the disorder can cause sleeplessness and how to overcome that to get a good night’s sleep. Trouble in lying still: Experts believe that patients with osteoarthritis cannot sleep because of the discomfort they experience while lying. Pain in their hips, knees, back, ankles or legs keeps them from sleeping in the ideal resting posture. Even if they somehow manage to lay down in a good posture, even the slightest turning or tossing during their sleep can cause severe pain hampering their sleep. Also the fact that the pain gets worse in the morning, which often starts even before you wake up, keeps you from getting complete sleep. Emotional Factors: One study suggests that insomnia in osteoarthritis patients is not often caused by the pain. Some sleep disorders are a direct result of empathy towards their sleeping partners. The research further reveals that most of the spouses sleeping with their husbands suffering from osteoarthritis reported of their sleep being disturbed due the pain of their partner. This in turn causes a guilt feeling in the patient, keeping him/her from a sound night’s sleep. Immobility: As the osteoarthritis gets more severe, the pain keeps patients from even getting up from bed and moving around. They have to remain in a state of rest for most hours of the day. This in turn disturbs their body mechanism. Enough energy is not used up to automatically cause a sense of tiring. This is why they are not able to go to sleep and have to wait for many hours till some sleep finally arrives. Knee or hip replacement can give you instant relief from such sleep disorders. 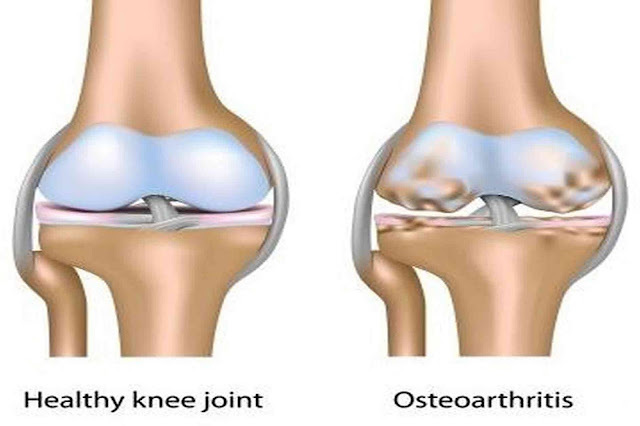 So, if you have osteoarthritis seek consultation, and if suggested get the surgery done without wasting any time!